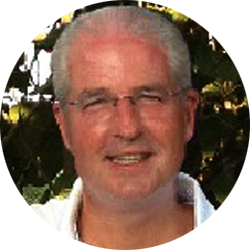 John has been a highly successful executive in the strategic business development arena for the last 30 years. He currently serves as President and CEO for D’Alessandro, Inc., a consulting firm that raises performance for their not-for-profit clients. With an expertise in strategy implementation and business consulting, John has successfully led many organizations to reach their goals. John spent 13 years with Pascack Valley Hospital, over five of which included leading the Foundation through an organizational transition and a successful capital campaign. Before leaving the hospital when it closed in 2007, John held the positions at the hospital of Sr. Vice President of External Relations, Chief Operating Officer and Interim Chief Executive Officer, as well as President of the NJ Hospital Association Fund Raising Executives. John serves on several not-for-profit boards, and as a consultant has achieved success with many sizes and types of organizations. Having worked in healthcare, consumer products and consulting services, John has a unique understanding of the business landscape. He is a graduate of William Paterson University and is a member of the Board of Directors of the Commerce and Industry Association of NJ. John is a frequent conference speaker in the not-for-profit, as well as the for-profit arena. In addition, as a panel moderator, John uniquely keeps the event pace on target, while inserting humor and a smooth transition between panelists and topics.